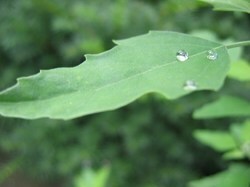 My neighbor called to let me know that rain drops from a recent shower looked like glass balls. So I captured them before they went away. 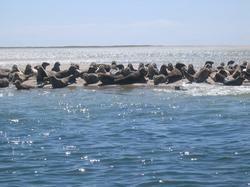 While down the Cape, in Chatham, we saw all these seals sunning themselves on this sand bar. Doesn't happen too often.